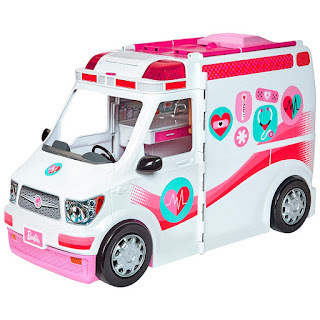 Amazon has the Barbie Care Clinic Vehicle on sale for $35.99, down from $54.99. Barbie's a doctor on-the-go with this transforming emergency care playset! Drive to Barbie's house calls in style with the care clinic vehicle that lights up and rings the siren at the press of a button. 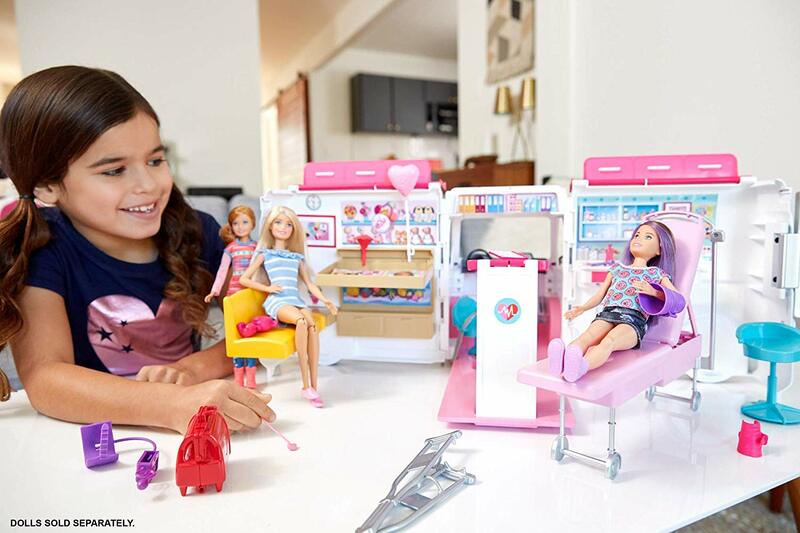 Pulling the lever on the back of the van transforms the playset into a full hospital with a waiting room, check-in area, and exam room! Featuring more than 20 interactive accessories like a blood pressure cuff, stethoscope, and crutches.